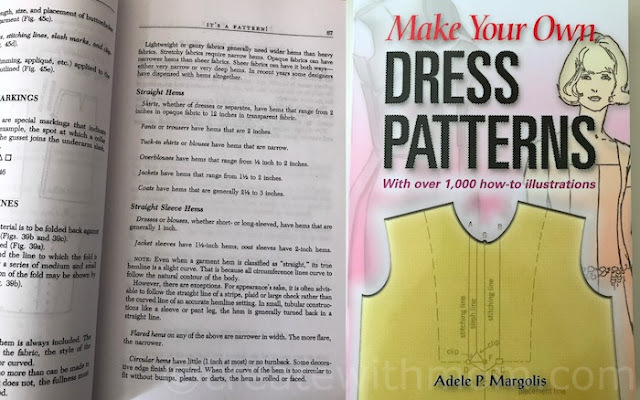 Adele P. Margolis's Make Your Own Dress Patterns book is useful for those who want to understand designing their own dress patterns. It explains how simple choices as darts and gathers can change the design of the clothes. The book helps understand the rules of pattern making, so we can create our own patterns and personalize commercial patterns to make shirts, dresses, blouses, sports wear, jackets, and more. This book doesn't have colour and there is a lot of reading involved to understand the material. This book is geared for those who want to make designing and sewing a profession. 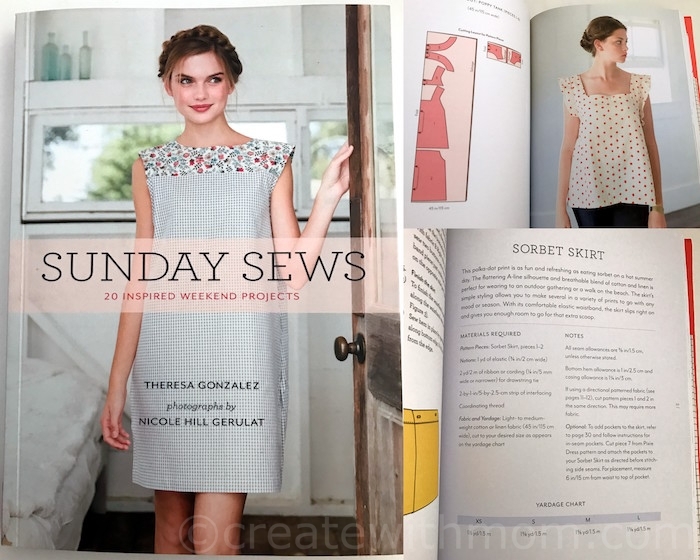 Sunday Sew by Theresa Gonzalez is an inspiring book with easy to make designs. There are twenty weekend projects to sew clothes such as tops, skirts, aprons, and dresses, and tunics. I like how the author explains the basics, tools, and how the patterns work. 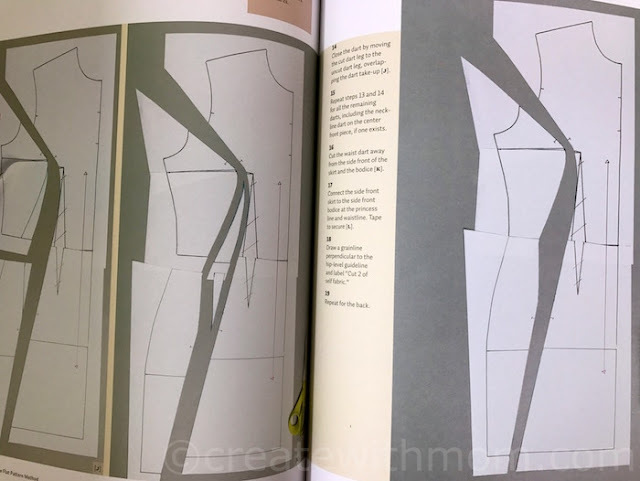 The book comes with one lazy skirt pattern template we can cut. For the rest of the pattern templates, the author directs us to print it online. It is a good book with easy projects to get us sewing. 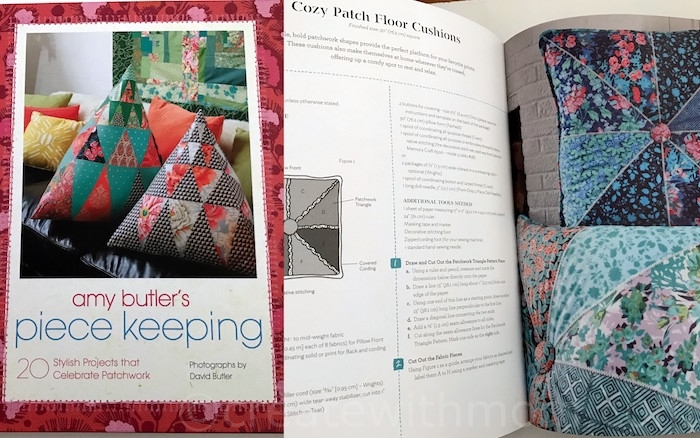 If you are looking to do projects with patchwork, Amy Butler's book with detailed background information and pictures will inspire to try different designs. I found it fun to learn about different patchwork design influences such as Flying Geese and Log Cabin and their origins. 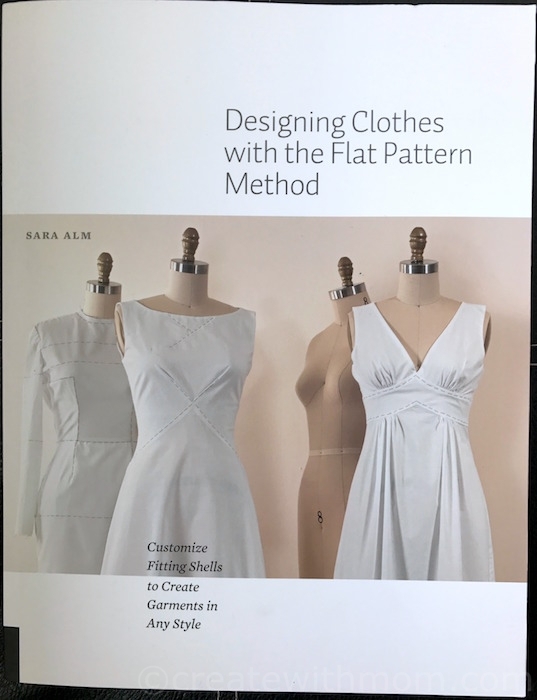 Designing Clothes with the Flat Pattern Method: Customize Fitting Shells to Create Garments in Any Style written by Sara Alm teaches how to draw our own patterns. Although, store bought patterns give a quick start to sewing our clothes, drawing our own patterns open up more creative possibilities. 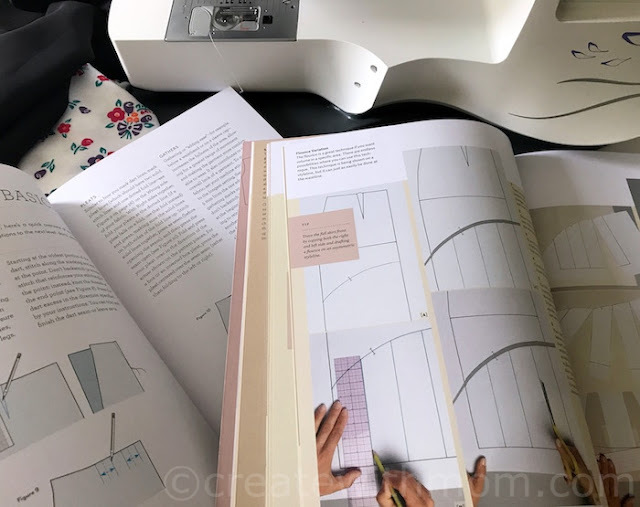 I feel by using basic pattern blocks or slopers to draw our patterns we are able to have a true understanding of dressmaking. Alm explains how we can design new garment shapes, style lines, and about fashion details to create patterns for nearly any piece of clothing from dresses to shorts, and outerwear. For example, the author shows how the basic straight skirt pattern can be changed to make other skirt designs by changing the hemline or a skirt's basic shape from straight to A-line to full swing with multiple gores. A simple change as a closure placement and waistline can change the design. By learning to draw our own patterns, customization options become endless. The book is divided into sections such as skirts, tops, and pants each complete with extensive instruction and accompanying photos.